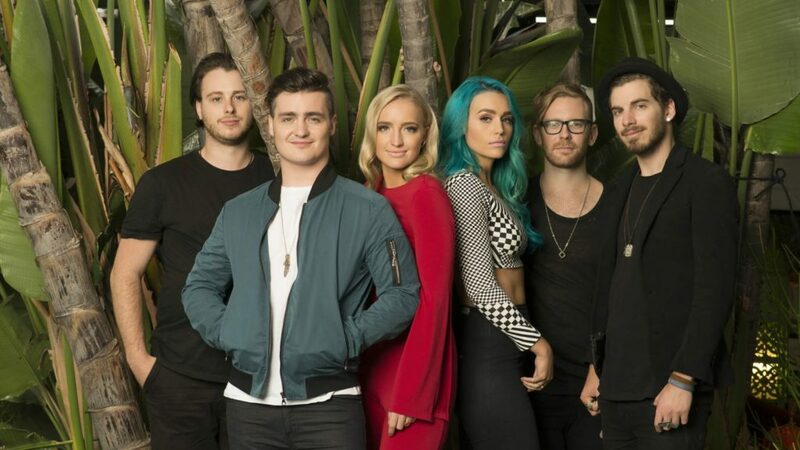 While 2017 has seen them serve as main support for the Australian and New Zealand legs of Justin Beiber’s Purpose Tour as well as on a European run with Little Minx, it’s been two years since the United States has had the pleasure of having the Australian indie pop sextet Sheppard hustling from city to city in order to entertain the masses, but that changes today as Amy Sheppard, George Sheppard, Emma Sheppard, Jay Bovino, Michael Butler and Dean Gordon kick off the headlining North American leg of their Edge Of The Night Tour. When they released their debut album, Bombs Away, in 2015, things exploded thanks to a little song of theirs called “Geronimo” becoming a worldwide phenomenon of a hit. Big. Huge. Ginourmous, actually, considering that the song went platinum in 21 countries. 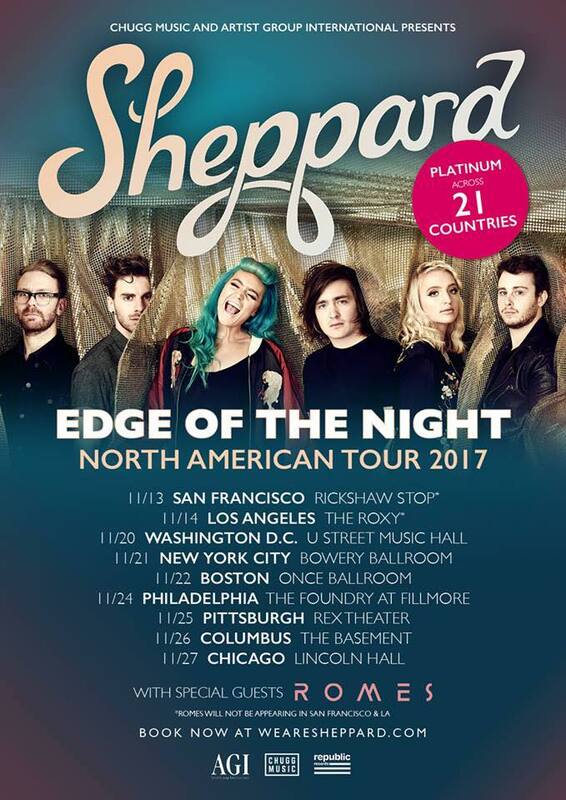 Earlier this year Sheppard released the two singles, “Edge of the Night” and “Keep Me Crazy” which show how their dynamic pop has progressed yet still captures the band’s bright energy and on November 10th (and just in time for the holidays) the feel-good anthem “Coming Home.” All of which will be on their sophomore album due out in 2018. High Voltage: Welcome back to the art of touring! How excited (terrified) are you to be getting back on the road? We’ve missed you guys, too. Now touring = long stretches of time on the road between shows: What do things get like in the van after – say – 12 hours? UPGRADE! A proper tour bus is never a bad thing. Now other than the obvious answer of your gear, what are some things that you simply CANNOT go on tour without? 1. Sleep mask. 2. Ear plugs. 3. Sequin outfit. 4. Asprin. Very important question: What do you listen to on the road? Who plays DJ? Love Tony Robbins. Okay, let’s talk those very important Tour Do’s and Don’ts. That last one…ha! Now be honest: what are your eating habits like while on the road? Any favorite gas station eats? By now, surely something absolutely awful/ridiculous/hilarious has happened during a tour or at a show, right? Tell us about one of those somethings. It’s probably safe to say that “Check fly before going on stage” is now one of George’s Tour Do’s! What lesson(s) has touring taught you? For those who have not yet had the pleasure, but surely will, describe a Sheppard live show.